You want to go from marketing novice to having confidence in what you know and what you do. Social media is one area of being an online entrepreneur that can leave you feeling as if you know nothing. 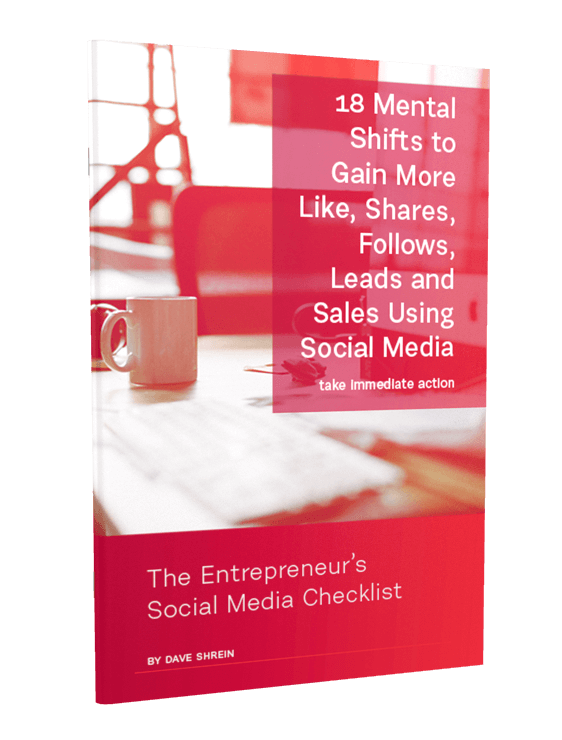 So many social media management tools, so many strategies, so many social networks – what should you use, where should you focus… it really is a spinning wheel that doesn’t stop. FYI, this was an impromptu conversation and you can hear my fan and keyboard typing – I didn’t have my podcasting microphone for this one. Sorry about that. There are two ways for you to begin to master social media – actually three. First, admit that you can never master social media. Once you have “mastered it” it changes. In reality, you can master a network for a time, but inevitably it will change and you must relearn it. Second, start using social media. Just start using a network, experiment with tools and engage with the content others are creating. Third, spend as much time as you can listening to others (peers or authority figures) and engage in conversation with them at any chance. This third option is why you need to take some time to listen to my conversation with Ryan Bilello. 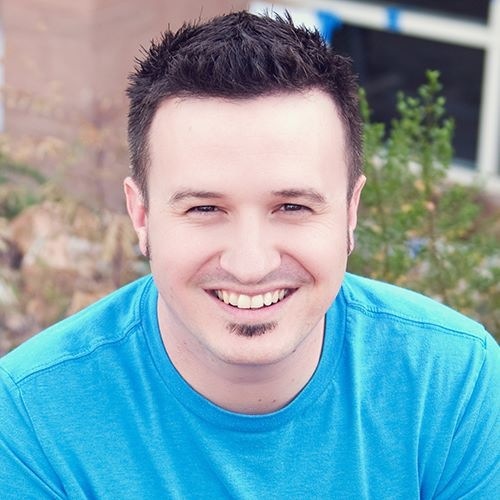 In this conversation between myself and Ryan Bilello we talk about several social media management tools including Edgar, Buffer and CoSchedule. Discover the functionality, benefits and shortcomings of Edgar and how it compares to Buffer. Our conversation also dives into CoSchedule, which is a WordPress plugin with corresponding monthly service for scheduling social media, analytic curation as well as other features. In addition to these social media management tools we also talk about Google URL Builder and why online entrepreneurs would want to begin using UTM parameters in all their social media posts in order to begin tracking how much money is actually being generated through social media. With Twitter’s upcoming changes to eliminate photo and links counting against Tweet counts, we step into that territory as well as a few other relevant topics for online platform builders. This isn’t a podcast. As a matter of fact this conversation on social media management tools and trends wasn’t planned at all. It was an impromptu conversation that seemed like a no brainer to record. For those who are interested in a fun story… here is how this conversation actually happened. 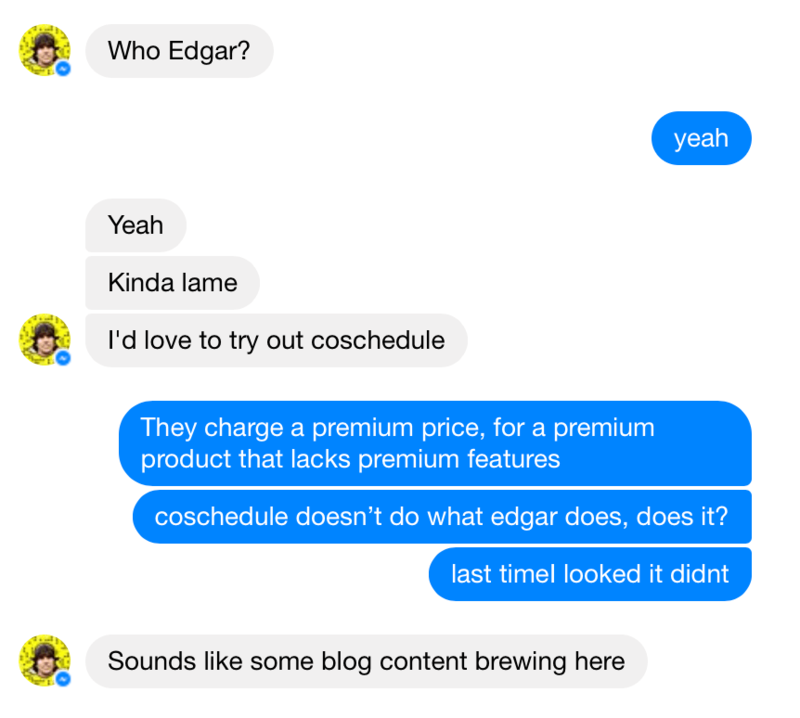 On May 27, Ryan Bilello and I were texting back and forth on Facebook Messenger about our experience with Edgar, the social media scheduling tool. In the middle of the text Ryan pointed out something really special – we were creating content. I launched Skype and used Ecamm Call Recorder to record our conversation all about Edgar, CoSchedule, Google URL Builder and a few other online marketing tools and strategies. Twenty-two minutes later we recorded, what I think, is an incredibly helpful conversation on social media management tools. For those who are wanting to work through how to more effectively use social media to increase their authority, grow their website statistics and improve their overall social media engagement, it is a must listen.